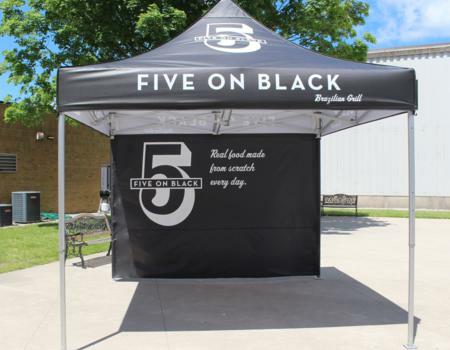 A Pop Up Tent Solution that is Backed with Lifetime Warranty. 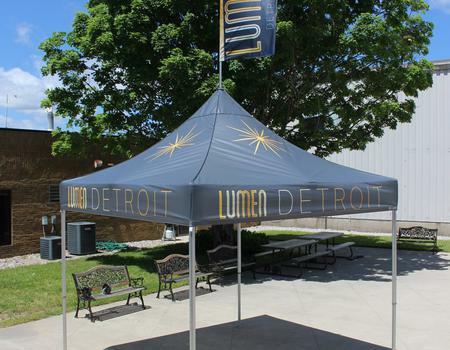 A heavy-duty aluminum pop-up tent made for a lifetime of use. As a business owner or event professional, you know that your event space speaks volumes about your product or service. You understand that your brand should always look its absolute best. 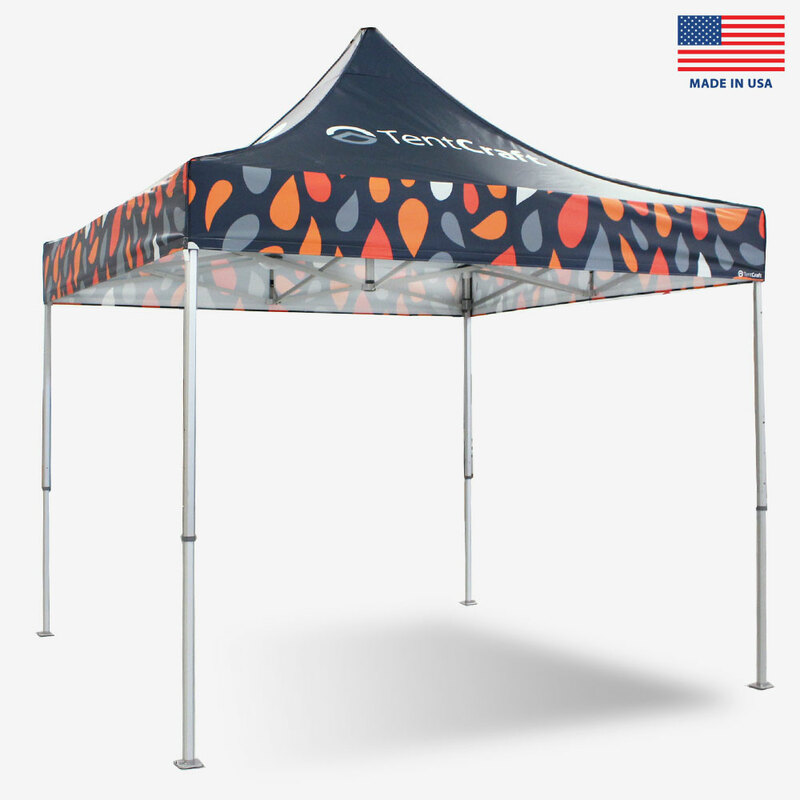 Therefore, your brand deserves to be proudly displayed on the premium American made MONARCHTENT. 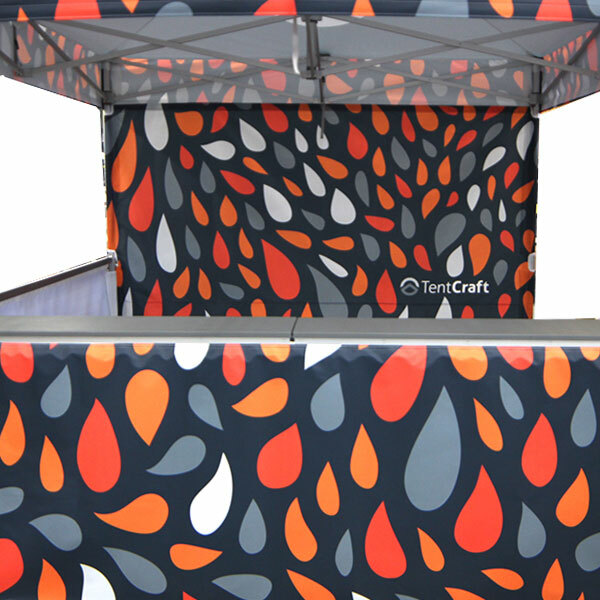 This tent system is specifically designed to withstand the rigors of a busy event schedule with an unfailing consistent performance sure to stand out in a sea of cheaply made alternatives. If this tent frame ever fails due to a manufacturer's error, we'll repair or replace it for free for the lifetime of the tent. Ready to ship to your event fast. Designed, printed and fabricated in an average of 3 business days. 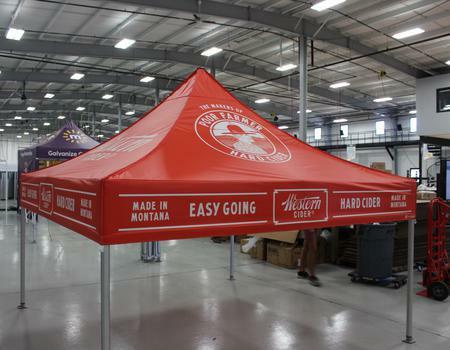 The new canopy peak height measures in at a full 11&apos; 10", making for the highest, most distinguishable peak in the industry. Each tent is engineered with newly patented foot pads which allow the included wheel kit to be effortlessly attached for easy mobility and transport. Every detail has been meticulously scrutinized, and painstakingly pushed to perfection — resulting in the quality and value expected of an American made product. 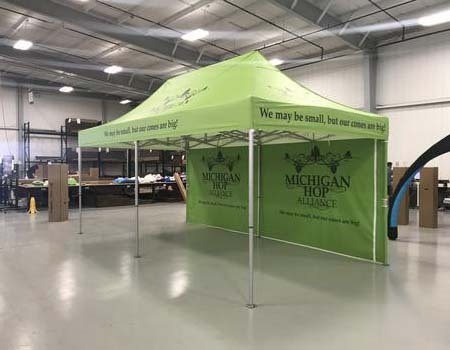 The anodized aluminum frame, octagonal legs, and durable connecting elements make this the strongest commercial pop-up tent in the market – period. Any color, any artwork. UV print method means your artwork won&apos;t fade over time. 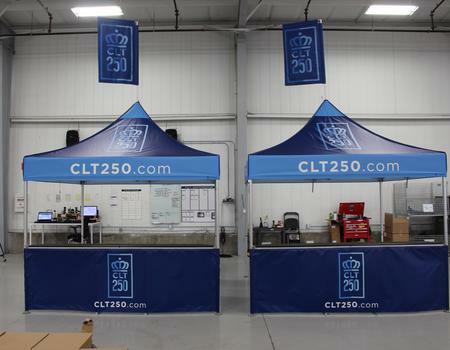 All MONARCHTENT models feature a patented roof fitting, allowing you to connect peak flags or peak banners that help you stand taller with your brand messages. Every MONARCHTENT ships with a heavy-duty roller bag for safe transport, a stake kit, tie-down lines, a hammer, and detailed setup instructions for repeated use. Increase your branded presence and enclose your space with perfectly printed walls. 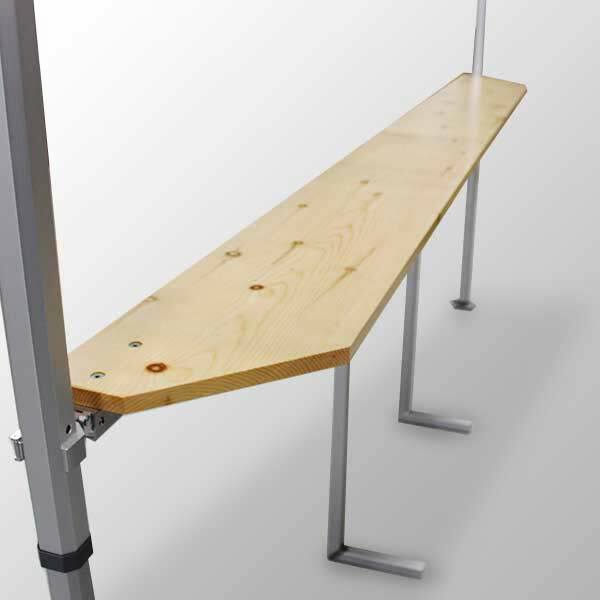 Use to display your products prominently or create an integrated full-service station. 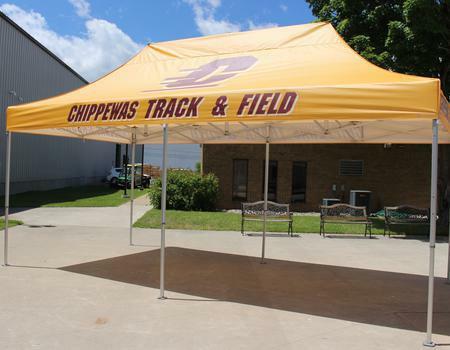 Utilize as a single counter or enclose your entire tent for 360˚ of service. 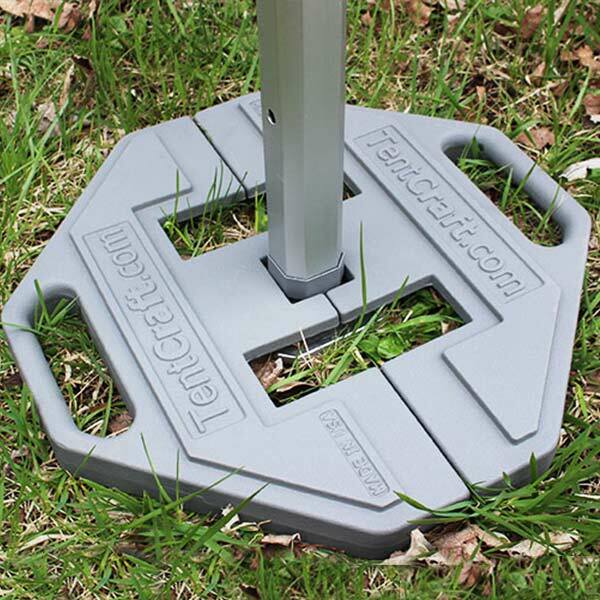 Sleek 50lb cast-iron footplates keep your tent safely secured to the earth in up to 35MPH wind gusts. An excellent addition when traditional staking is not an option. 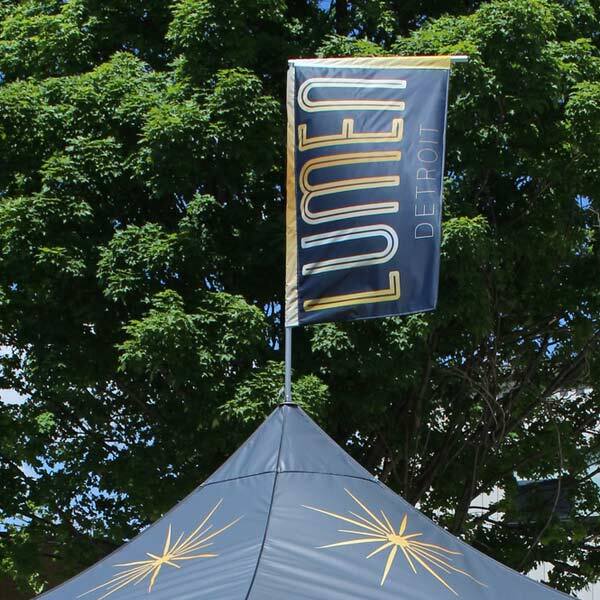 Marketing flags go hand-in-hand with any tent system and help elevate your presence at any event.